According to a recent Forrester study, digital coupons are keeping up with the times, and are very relevant as omnichannel retail becomes the norm. The report says that, among 500 consumers who have used a digital coupon within the past three months, 59% stated that digital coupons and coupons codes are most likely to influence their purchase decision compared with other types of digital promotions. In addition, a strong majority of consumers will redeem a digital coupon code within three days of receiving it, and nearly one-third will redeem it immediately. Times Using ≤ 3 Mos. Over a three-month period, 68% of consumers today have made between one and 10 purchases online. Of those, 86% have used a digital coupon. Consumers continue to make purchases in the typical areas that one would expect. Restaurants, bath and beauty, and home and garden tend to be the most top-tier categories where consumers have made their purchases online or in-store. The next group of retailers, where purchases tend to be made more online than in-store, includes consumer electronics, books, movies, and music, as well as gifts and flowers. An overwhelming 59% of consumers stated that of the different types of promotions a retailer can employ, digital coupons still hold the most sway when it comes to influencing a consumer’s purchasing decision (see Figure 2). This continues to reinforce a key finding from Forrester’s 2011 Thought Leadership Paper. Coupons continue to positively affect brand and loyalty. What also continues to be true from 2011 is that 68% of customers strongly believe that digital coupons have a positive impact on a retailer’s brand, and 68% of consumers also stated that coupons generate loyalty. Similarly, a digital coupon increases the potential for conversion when consumers are in the cart and checkout phase of a purchase and plays a key role in combating shopping cart abandonment. 63% percent of consumers surveyed said a promotion or a coupon often closes the deal if wavering or undecided on making a purchase. In addition to being loyal, customers are also very open to trying a new brand when receiving a coupon on a smartphone. In fact, 47% of those surveyed stated they are open to doing so. These points all add up to good news for retailers and continue to reinforce that this marketing tactic can make all the difference when it comes to generating new customers, encouraging existing customers to spend more, and driving customers to a retailer’s brick-and-mortar locations. Digital coupons are still primarily delivered the good old fashioned way through email, and consumers are increasingly using tablets and phones to both find and redeem them. Sixty-five percent of those surveyed for this study stated that they used at least three digital coupons on their tablet, slightly outpacing the use of the desktop computer (see Figure 5). However, retailers can’t ignore the momentum of mobile adoption. The report predicts that US mobile phone and tablet commerce will top $114 billion by the end of 2014. While smartphone revenue in 2014 should total $38 billion, tablets are expected to top that, with a total of $77 billion. 30% of those redeeming a coupon on a tablet redeem it immediately, says the report, and 60% of consumers receiving a coupon via a smartphone redeem it immediately or within several hours. Receiving a deal or savings via digital coupon can be the tipping point for a consumer to “press buy” online or to walk into a store and make the purchase in real time. For more information from RetailMeNot, please visit here. Are All QR Codes Created Equal? The QR code has had a rocky road over the past two decades. Initially developed for the automotive industry in Japan in 1994, a QR code – or quick response code – is an optic label that contains information about the item to which it is attached, and can be read by machines. It has become widely popular outside its original intended use due to its fast readability. QR codes can also contain more information than the standard barcodes used on most products. In South Africa, QR codes have been heralded as the next great marketing tool, accused of being an overly complex piece of technology that no one wants to use, and dismissed as an unsightly and impractical addition to marketing collateral that adds little value to the marketer’s campaign or the customer’s experience thereof. For the most part, you only really found QR codes on print advertisements and billboards in South Africa. Marketers used them as a way of drawing consumers away from printed material into a digital experience, but all too often these experiences were little more than mini-websites that were bizarrely not optimised for mobile phones. People got tired of being taken to poor digital experiences, and stopped using QR codes. Marketers soon abandoned them. Even in the US, in technologically advanced cities like San Francisco, only 11% of consumers even knew what a QR code was – and this was in 2011! Over the past few months, however, you will have noticed QR codes springing up everywhere as newly launched mobile payment services gain traction among consumers. Snapscan is the most famous example and can be found at any of more than 10 000 stores and merchants countrywide, but any recent dining experience would also have exposed you to Zapper, while a trip to a vida e caffe for your morning latte would have introduced you to FlickPay. QR codes, it seems, are suddenly everywhere. The 2014 Nielsen Mobile Wallet Report, which sourced data from nearly 4000 smartphone users who have used their phone or tablet for mobile shopping, paying or banking in the past 30 days, showed that consumers are quite comfortable with QR code based payments. Interestingly, less than a third would pay for goods by scanning a QR code at a store, while nearly half of all respondents were comfortable to do it the other way around: by presenting a QR code on the device’s screen for the cashier to scan. This type of mobile payment is also by far the most popular, currently beating out NFC (as found in Google Wallet and Isis) and the Square model of payments, where a device is attached to a smartphone to enable credit card transactions (as Absa’s Payment Pebble and Emerge Mobile’s iKhokha do locally). So are QR codes here to stay? It all depends. QR codes can present some serious security issues that need to be addressed if they are to survive in the long term. Think about it: by scanning the code with your phone, you automatically initiate a process that could be anything. That static printed QR code at the organic farmer’s market? You might think that you’re just quickly paying for your organic free-range eggs, but a criminal may have pasted his own code over the merchant’s and all your sensitive password and mobile banking details could already be in the hands of a fraudster. Turning the process on its head: QR codes generated ‘in-app’ on a consumer’s own handset that are then ‘read’ by a scanner at the till point actually offer an additional layer of security to the end-user, when compared to card payments in particular. Opportunities for manipulation of the code are eliminated by either the merchant or the consumer, and no personal information is handed over during the transaction. Not only that – point-of-sale integration unlocks opportunities for additional ‘in-app’ QR code initiated services that can add even more value and convenience to the consumer’s life. Regular customer? Have a free coffee. Redeeming a coupon or voucher? Easy – just scan your QR code at the till point and enjoy the rewards. The current generation of prevalent QR code based payment apps have created a thriving ecosystem of alternative payments that has opened consumers’ minds to the possibilities of a cashless future. It is imperative that all stakeholders evolve their QR code -based apps and services to ensure consumers (and businesses) are as protected as possible, while still offering the most value in terms of convenience and experience. Anything less will put consumers off, and force the search for an alternative technology solution, which may take another 20 years to gain traction. Image: Bauke Karel via Flickr. Interested in some real-life evidence of how A/B testing can generate significant lift in profit? A/B testing is not something you do once and then forget about; it's an ongoing process to extract the maximum conversion rate for your website. It's a process that includes testing every last detail to find the optimal layout, text, and images for your site. Sometimes, even the smallest changes can yield significant results. Let's take a look at five A/B tests with significant results. You can write copy at length about how your product or service will benefit your customers and do wonders for them, but third-party credibility is much more influential. With that in mind, how would customers respond to impartial reviews from actual customers? Could the positive experience of previous customers help eliminate any apprehensions from the prospect about buying the product? These were the questions asked by ecommerce store Express Watches. In their A/B test, they added a small widget below the Add to Basket button, where genuine customer reviews were displayed. The results were game-changing for the business. The positive customer reviews reduced buyer objections and boosted their sales by an impressive 58 percent. The best thing about customer testimonials is they are incredibly easy to implement – just add them to your site or install something like the Trust Pilot widget. Takeaway: Always use positive customer testimonials as social proof since third-party reviews carry much more weight than what you write about yourself. Not all A/B tests require you to tweak your website's design; one of the simplest things you can test is your pricing strategy. It doesn't take a rocket scientist to determine that when you reduce your prices, you will generally make more sales, and vice versa. However, less certain is the impact the change in price will have on your bottom line – will your monthly revenue be better or worse for the pricing change? That's where the economic concept related to elasticity of demand comes in. To explain this further, let's take a look at a pricing A/B test Six Pack Ab Exercises ran. Uncertain as to whether they were leaving money on the table, owner Carl Juneau tried increasing the price of his product from $19.95 to $29.95. Although the number of conversions fell by 9 percent, this was more than offset by the additional 50 percent revenue he was receiving per conversion. In time, this simple price change would allow him to bank 36.48 percent more revenue. Now, increasing your price won't positively affect your bottom line in every case – in some cases alower price will yield a higher profit – but it does highlight the importance of finding your profit maximizing price. Takeaway: Pricing strategy is part of A/B testing. Test higher and lower prices to see what brings in the most revenue and profit. With all the scam reports out there, online shoppers are understandably cautious about handing over their credit card details willy-nilly. You need to find a way to put their minds at ease. After all, would you buy something from a website you don't trust? Credibility and trust is something that you develop over time, just like in a dating relationship. But, there are ways to increase the trust level of your website, even if you're new to the Internet. Bag Servant identified lack of trust as a primary reason for low conversion rates and small order values on their site, and set about implementing an A/B test to improve performance. Initially, Bag Servant was dependent on social proof, and prominently displayed a badge highlighting their 4,000+ strong Twitter following in an attempt to establish trust. For their A/B test, they replaced the Twitter followers badge with a WOW award badge they had received. Because this badge was a relatively well-respected symbol in the industry, this improved the site's credibility and helped removed buyer's doubt. The result? Conversion skyrocketed more than 72 percent. Takeaway: Always look for ways to increase credibility on your site. This can be with awards, social followers, testimonials, or SSL trust symbols like Verisign, Hacker Safe, or McAfee. You might think you understand what your audience wants, but just how well do you really know them? Product quality, guarantees, offers, price, and shipping fees matter to all consumers. The bigger question is what matters most to your customers. Smiley Cookie, a niche e-store, sells fresh, customized cookies as gifts for special occasions. Free shipping on orders above a certain value. Fixed rate shipping for any order value. Smiley Cookie had expected that customers would be most responsive to the value propositions on price (discounts) and quality (handmade cookies). But guess what? There was a surprise winner: next-day shipping. Because most customers tend to purchase cookies as a gift (and gifts are almost always last-minute things), making sure it arrives on time is imperative. Throw in the fact that cookies are perishable and need to arrive fresh, and perhaps the results aren't so surprising after all. That's not to say that next-day delivery is the most important factor to your audience. It does show, however, that understanding what your audience really wants is vital for getting results with your A/B tests. Takeaway: You need to find out what matters most to your customers and highlight that aspect of your product on the landing page or in the offer. Although a bit of logical thinking can often predict the outcome of an A/B test, ignorant Internet surfers love nothing more than throwing up anomalies that defy the conventional wisdom. Here are four testing tips used to generate more revenue. Remember, just because something works on one site – or even the vast majority of sites – doesn't necessarily mean it will work with you. Let's look at an example to highlight this point: the Vendio signup form. Now, any guide to CRO will tell you that an embedded signup form on the homepage will boost conversions; after all, if it takes fewer clicks for a user to register, they ought to be more likely to do so. Sensibly, this was the approach Vendio took when first designing their layout. Just to ensure they were taking the right approach, though, Vendio A/B tested their embedded form against an unconventional alternative: users would have to click an extra button to reach the signup form. Surprisingly, this worked! With one extra step added to their conversion funnel, signups per visitor increased by 60 percent. Takeaway: Don't blindly accept best practices. Find out what works best for you with independent testing. Conversion rate optimization isn't an easy technique to master, particularly when there is such a wide range of variables and factors that go into testing. And just because you've managed to increase your conversion rate doesn't mean you get to rest, especially if there are any major aspects of your site that haven't been tested. If you only focus on one page, you will be leaving money on the table. Most importantly, the cost-per-click (CPC) to bring a visitor to your website is increasing and if you don't improve your conversion rate, your cost to acquire a customer (CPA) will continue to rise. Therefore, never stop testing, because even the smallest lift can yield big-time changes to your bottom line. Luckily, new research shows a way out of the chasing daft data. The 6th Annual Social Media Marketing Industry Report confirms that most business marketers are chasing the wrong statistics. Yet, buried within the data of this report is the answer to increasing sales using social media. The study found that the two main reasons people used social media as part of their marketing was to “increase awareness” and “gain followers”. Both of these are easy to measure in terms of “followers” or “likes” and so these targets can provide marketers with so-called “data” which can be used to prove that their work is successful. Bottom of the list – yes BOTTOM – was using social media to generate sales. Even though the point of being in business is to generate profit from sales, it turns out that those people doing social media marketing rated sales as the least important benefit. But turn a page or two on and you find that the report reveals a stark difference between the majority of social media marketers and those who are actually generating leads and sales using social networks. The people making real money using social media marketing are the ones putting in the most hours of work. It turns out that 74% of those who spend more than 40 hours a week on social media are the ones making money. Yet almost two-thirds of business are spending less than 11 hours a week on social media – a quarter of what they need to do. The figures make it clear – the more time a business spends on social media, the more likely it is to generate sales. Most businesses are having to focus on meaningless statistics revolving around “awareness” as that provides some logic behind their investment in social media activity. But what this really reveals is that the majority of businesses are not investing anywhere near enough time and money on social media activity. If you put more time and effort into the world of social media, you will be able to generate more sales – providing a business with a greater reason for using the social web. Rather than trying to work out how to spend less time on social media, your business ought to be considering how it can spend more time on it. The result of that, it seems, will be more sales. Social media e-commerce has taken off — and it's showing no signs of slowing down. With social media selling, anyone can become an online merchant without having to invest in a website or give online marketplaces a cut of their profits. Here are 10 social media selling solutions to help you get started. Want to sell on Facebook? The Soldsie Facebook app turns the social network's comments section into an e-commercepowerhouse. Typically, customers make purchases on Facebook by messaging sellers or leaving their email addresses. Instead, Soldsie's "Comment Selling" system eliminates all the back-and-forth communication by streamlining transactions. To start selling, connect Soldsie to your Facebook page, and upload product photos. These posts become your storefront, where fans can simply comment "Sold" to make a purchase. After commenting, they'll automatically receive an email invoice and proceed to checkout via PayPal or WePay. Hashbag is another Instagram selling tool that provides a centralized place to showcase Instagram listings. Sellers get their own storefronts on the Hashbag marketplace, while buyers search for items using hashtags. To start listing, first Instagram a photo of your product with the hashtag #forsale. You'll automatically receive an email asking you to log in to Hashbag, where you'll be able to set your price. The listing will then go live, and buyers can start making purchases via PayPal. The hashtag is the universal language of social media, making it a powerful social selling tool regardless of the platform. Chirpify, a social commerce platform, takes unique campaign hashtags — referred to as "actiontags" — and uses them to enable purchases across multiple social networks. First, customers see the actiontag on social media, print, television and other marketing channels. Next, all they have to do is post the actiontag on Twitter, Facebook or Instagram to activate a purchase. Chirpify then responds immediately to collect payment and instantly convert sales. Even if you own an e-commerce website, cross-selling products on social media is a great strategy to boost sales. One service that makes this possible is Beetailer, which lets online merchants import their store into Facebook. After the initial migration, the system is basically hands-free — it requires no installation, configuration or maintenance, and products are automatically updated based on the website's inventory data. Included in the service are marketing tools like campaigns and promotions, detailed analytics, and integration with existing checkout systems. Designing Facebook page campaigns can seem like rocket science for people who aren't tech savvy. Heyo simplifies the process with a drag-and-drop campaign builder that anyone can use. The service works a lot like do-it-yourself website builders: Start by choosing a template, and then edit or customize elements to fit your campaign and brand. Whether you're running a contest, promotion or special deal, campaigns built on Heyo can then be easily plugged into your Facebook page — no coding necessary. Automation is key to saving time and money. Fanchimp lets businesses automate Twitter and Facebook selling by enabling them to schedule posts and promotions. Although there are already services that have the same scheduling capabilities (HootSuite, TweetDeck), what makes Fanchimp different is that it connects directly to your online store. Just log in to the system, and you can choose which products to promote, and when to promote them, directly from your inventory. Fanchimp can also set posts to go live at the optimum times and intervals for maximum viewership. Although Twitter, Facebook and Instagram are the most popular social selling platforms, there are niche marketplaces that also function as their own social networks. One such marketplace isPoshmark, a website and mobile app for buying and selling fashion. Like on Instagram, sellers first take a photo of each product and post it to Poshmark with the item and pricing details. Customers can also like listings, as well as leave comments and follow sellers. Unlike Instagram, however, customers can make purchases directly through the service via the Buy button. Poshmark takes care of all the back-end processes, so the only thing sellers have to do is ship the item to get paid. Facebook for Business is the one-stop shop for finding out which types of Facebook selling campaigns will work best for your business. The service lets you create Facebook pages and purchase Facebook ads, as well as integrate Facebook into your website or mobile app. Facebook for Business helps merchants create buzz, find new customers and drive sales, using one centralized hub. The service also includes analytics tools that provide key insights and measure campaign performance. There's a saying that consumers don't trust brands; they trust their friends. That's essentially the principle behind Pinterest for Business, which lets businesses create Pinterest accounts as a brand. In addition to pinning items just as regular users can, businesses can add the Pin It button wherever their items appear on the Web. For example, e-commerce website Etsy added the Pin It button to each individual listing — when Pinterest users click on the Pin It button, the corresponding Etsy item will be added to their Pinterest boards for their followers to see. These pins include the seller's shop name and pricing information, so viewers know the item is for sale. The idea is to drive traffic, grow followers and ultimately boost sales based on other Pinterest users' recommendations. If A/B Testing Can Help Win Elections, What Can It Do for Your Business? Online retailers are always looking to differentiate themselves in more meaningful ways. Compelling shopping experiences, product recommendations, and overall superior customer service are key ways retailers set themselves apart. Today's data-driven marketing tools can help them unlock those experiences by using the data they have about their customers. Prior to founding my own company, I served as the director of analytics on the 2008 Obama campaign. By experimenting with changes to elements of the campaign splash page, we were able to help raise an additional $57 million in campaign donations. The guiding principles that made the campaign successful are no different from approaches online retailers and other marketers can adopt to make a real business impact. First, you need to know your constituent. The behavior of visitors who come to your website is very much indicative of the kind of messaging that would work on them. What you show a returning visitor is different from what you'd show to a new visitor, or a mobile visitor vs. a desktop visitor. The urgency for businesses to use data to show the right thing, to the right person, at the right time is stronger than ever. Targeted messaging is the most to effective way to get consumers to convert. Second, you must know the facts. One of the greatest challenges (and areas for error) for businesses is getting the data right. Online retailers should take prudent effort to make sure the infrastructure and process they've implemented is sound. For example, the "novelty effect" suggests that just because a change has an impact initially doesn't mean it can be sustained over time. Will your customers grow tired of cyber deals every 10 minutes for a week? Finally, it's imperative to ask the right questions. The challenge for online retailers is not about prescribing the right answers but about asking the right questions. For instance, are you trying to see whether a visitor will respond better to more product selections on a page, or fewer? Consider first what you want the answers to be, and those hypotheses will then help you decide what to measure. Common examples of A/B testing for online retail include homepage bounce rates, category-page views, product-page views, shopping cart ads, and all stages in a checkout flow all the way to the Thank You page. In general, to get more effective and relevant results, rather than asking "What are the variations we are testing?" consider asking "What question are we trying to answer?" To ensure the best return on your effort, first look at your Web analytics to see which pages have the most room for improvement. You'll want to attack those areas first. The following are some actionable insights to help retailers optimize their sales by running website experiments that help them deliver a better experience to their visitors. Homepage. The homepage is notoriously the most over-scrutinized page, yet it is also likely to be the most under optimized. For instance, imagine you're a consumer shopping on a retailer's website for a new coat. You arrive on the homepage and see a banner for a sale. Just as you're about to click it, the experience changes to pants. The rotating carousel of images means you have to continually reorient yourself, and it diffuses the focus of your original purpose. And when consumers are distracted, they're probably not purchasing. Category pages. Unfortunately, most retailers tend to overlook their category pages; luckily, there are some easy and effective tests to evaluate them. One simple experiment centers on the performance of tiled vs. list views. For example, in our experience, the list views perform better and lift sales for scenarios in which consumers are making a complex purchase decision. The list format enables consumers to scan information easily and compare between categories; it also gives the retailer space to display the best sellers above the fold. Product detail pages. Where does the consumer ultimately decide whether to buy or bounce? The product detail page is where the final persuasion happens. Therefore, it is one of the most important areas of your website. Value proposition: Is it strong or weak? Relevance: Is the content pertinent to the target audience and their needs? Clarity: How clear is the imagery, eye flow, copywriting, and call to action? Distraction: Are you redirecting attention from the primary message with too many product options? 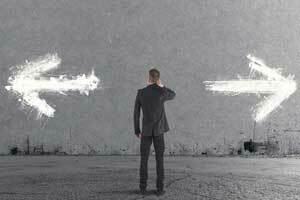 Are upsell and cross-sell options provided prematurely? Are design elements overwhelming the message? Urgency: Are you giving the consumer a reason to act now? Primary calls to action. At the sitewide checkout entry point, make your calls to action loud and clear. Test phrases like "add to cart" or "sign up for emails" to clarify what specifically you want your website to achieve and whether you are effectively directing shoppers to accomplish those goals. For example, knowing that users become more invested as they click through the signup funnel, the 1-800-DENTIST team hypothesized that making the first step as simple as possible would decrease drop off rate and lead to more successful signups further down the funnel. To test the hypothesis, the team considered how to best simplify the first step without losing valuable data collection. Since all dentist matches depend on location, ZIP code was the most logical input to lead off with. Then, the team moved the two other fields—insurance and dental need—to pages later in the funnel, ensuring they would still be able to collect each piece of information. In less than a week, the team found that shortening the first step of the checkout funnel increased conversions 23.3%. The greatest opportunity for online retailers today lies in facilitating the process of experimentation to help their teams move from the era of Mad Men into the era of Math Men. The role of creativity is still as important as it's always been, but now it's not centered on the most intuitively creative person but, rather, the most data-driven creative person. We live in a time where you can let the data help you get to the right answers. You'll quickly find that the tests take the guesswork out of website optimization and enable data-backed decisions that shift business conversations from "we think" to "we know." And knowing your website's weaknesses means that you can turn them into strengths and sales. Rice University engineering students Cecilia Zhang, left, and Lam Yuk Wong, have created a virtual fitting room for online shoppers. Their program, which uses Microsoft’s Kinect motion-capture device, turns users into virtual mannequins to make online garment fitting more accurate. One blessing of the Internet: shopping conveniently online for clothes. One curse of the Internet: shopping conveniently online for clothes. "Nothing fits," said Lam Yuk Wong, a senior in electrical and computer engineering at Rice University. "Everybody says this. They order clothes and they don't fit. People get very unhappy." Wong and her design partner, Xuaner "Cecilia" Zhang, are Team White Mirror, creators of what they call a "virtual fitting room." Their goal is simple and consumer-friendly: to assure online clothing shoppers a perfect fit and a perfect look with every purchase. Both women are from China, Wong from Hong Kong, Zhang from Beijing. Both order most of their clothing online. They got the idea from their own experience as consumers and from listening to the complaints of friends and relatives. "They say, 'The color is wrong' or 'I got the right size but it does not fit right.' We want to make it like you're in the store trying on the clothes," Zhang said. Using a Kinect, the motion-sensing input device developed by Microsoft for use with its Xbox 360 video game player, Zhang scans Wong and turns her image into, in effect, a virtual mannequin, preserving Wong's dimensions, and even her skin and hair color. "We put the clothes on the shopper's 3-D body models and show how they look when they are dressed. The existing virtual fitting rooms don't use customized body models that look like the shoppers. It takes a long time to display the fully dressed models, and they don't look realistic," Wong said. With the software developed by the students, shoppers are able to see realistic details, even wrinkles in the garments. They can rotate the model to see how the garment fits from all sides. Thus far, Wong and Zhang have adapted the software to show dresses and shirts, and they are working on shorts. Their paper, "Virtual Fitting: Real-Time Garment Simulation," will be presented at the 27th annual conference of Computer Animation and Social Agents to be held May 26-28 at the University of Houston. The team received further validation when it won the $5,000 Willy Revolution Award at Rice's annual Design Showcase April 17. Asked if she thought men as well as women might be interested in using their virtual fitting room, Wong said, "I think their wives will care about this, so it will also be important to the men." Consumers are bored with the online shopping experience and want something new. But online and pick-up-in-store options are no longer a novelty for consumers. They want more. Budgets are shifting to improve the experience of Web sites and ecommerce systems. Management and delivery tools continue to gain traction with brands, because many want to improve their customers' digital experience before the major year-end holidays. A Forrester Research study reveals that 45% will focus on content management, 26% on ecommerce platforms, 23% on digital asset management, and 21% on testing and optimization 21%. The study surveyed 148 digital customer experience professionals about their strategies for the next 12 to 24 months. On-site search requires an even better experience than traditional engines like Bing, Google and Yahoo. If there's any doubt that consumers are fed up with the experience, the white paper, Your Site Experience Is Old School, from Compare Metrics tells all. It analyzes site navigation tools and online shopping experiences in an effort to explore how to double the average order size of Web purchases and highlight opportunities for retailers. The basis for the paper comes from a study done with the eTailing group earlier this year. "Consumers prefer to browse vs. search," said Garrett Eastham, CEO of Compare Metrics, making the distinction of looking through the merchandise and action of discovery vs. the tactical act of typing in a keyword looking for something specific. "The more relevant the inventory the more likely consumers are to engage and make a purchase." The white paper reveals that shoppers often go online for inspiration. They believe it's more efficient searching through the Web site than racks and shelves in the physical store. This gives them an opportunity to make a purchase as well as to find design ideas. In fact, 67% of consumers go online to browse and window shop for fun. Some 90% of shoppers spend the majority of their time shopping online when they know exactly what they want. When it comes to discovery and navigation of Web sites, consumers gave the experience five out of 10 points. Some 73% of consumers said Web site category filters eliminate products that consumers wanted to see. Shoppers are also becoming less tolerant with inefficiencies in on-site search. Some 4 out of 10 consumers don't trust it, and 64% said they would rather have simplicity in the search process. The white paper suggests increasing the sites' "wow factor" by focusing on commerce-driven content, as compared with pure editorial content, available naturally on the site rather than outside, the shopper's chosen discovery path. Make it easier to find products. Some sites are two complicated, have too many options and load slowly. Most of all, don't limit products or only show best picks. This will alienate those with a different taste in product. Consumers will close the browser and go on to the next retailer with an easier ecommerce system.